Before you make a purchase, let Kinnek do the difficult part. Submit a free request for quotes using the form to the right, and we'll get multiple suppliers to provide you their commercial dishwasher offerings and pricing. This way, you can compare all your options in one place! For many buyers, a commercial range will be the most important piece of restaurant equipment in their kitchen, so the prudent buyer will make sure to assess their needs, prioritize, and approach suppliers with at least a general idea of the type of range (and the set of features) in which they have the greatest interest. There are numerous factors to take into account when considering the purchase of a commercial range for your business: floor space, free countertop space, free oven-top space, storage requirements, energy requirements, production capacity, initial cost and maintenance costs, and gas/electric, and the type of range, among others. A commercial range typically features two major elements: the cooktop surface (gas burner, griddle top, induction cooktop, etc. ), through which direct heat is applied, and the bottom, standing portion – usually an oven, but sometimes a storage unit or some other kitchen accessory. The cooktop surface and oven may be found in a variety of custom configurations (for example, a range with open gas burners and a convection oven, or a range with an induction cooktop and a deck oven). Though full size ranges are most common, separate cooktops without the bottom component (without the oven, storage unit, etc.) are also widely available. One of the main differences between separate cooktop surfaces and full size ranges is the heat generation of the burners (measured in BTUs) – full size range burners typically provide higher BTU output, which for a commercial kitchen may be a necessity, depending on the menu items. On the other hand, a separate cooktop unit can save floor space in a cramped commercial kitchen, as the unit can be set on free counter space. It is also worth pointing out that if you have an existing oven unit, you may not need or want an additional full-size range with its own oven. A separate cooktop surface might be better suited for that particular kitchen configuration. There are many different cooktop configurations available, each with their own set of advantages and disadvantages. Each configuration will be able to cook certain menu items, but not others, so make sure that you have equipment to cover all your bases. A griddle cooktop is a flat surface on which food is directly cooked. Pots and pans cannot be used on a griddle, but this is an advantage, as the flat surface of a griddle makes it easy to clean, enabling high volume cooking. Griddles are commonly used for frying rice, grilling burgers and sandwiches, and making omelets, and in general, they are extremely versatile. Many food trucks employ the use of a griddle to provide the greatest variety of menu items possible in a limited space (and on a limited budget). Of course, menu items like soups, stews, and pan-cooked foods cannot be made on a griddle top, so in that sense their versatility is limited. To shore up this weakness, many kitchens purchase burner tops to supplement their griddles, or they purchase combination tops. Gas burners are the most common type of cooktop found in commercial kitchens, and can be used to make a variety of menu items by sautéing, boiling, frying, wok frying, stewing, and more (pots and pans necessary). 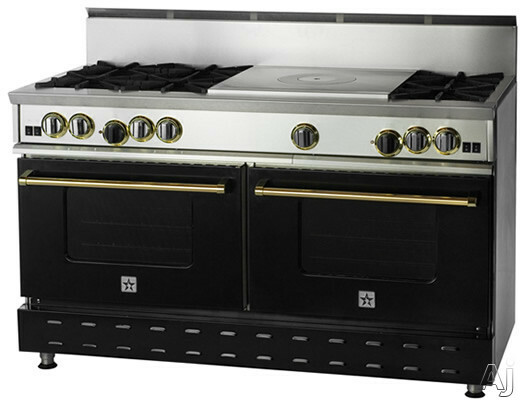 Gas burner cooktops usually come in configurations of 4 or 6 burners. Gas burners continue to be more popular than indution/electric cooktops because of their heat precision and efficiency – gas burners heat up more quickly and many commercial kitchens find that the burners themselves tend to heat more accurately. Electric induction cooktops, also known as French plate cooktops, are used in the same way as gas burners (pots and pans for sautéing, boiling, frying, wok frying, stewing, etc.). Commercial induction cooktops are generally more powerful and more accurate than residential equivalents, so try not to let the mainstream negative reputation of electric cooktops affect your commercial cooktop decision. Many larger kitchens base their decision (gas vs. electric) on the cost of gas/electricity in their area. Cheaper electricity can make induction cooktops worthwhile if costs are a serious concern. A hot top is a flat surface – like a griddle cooktop – but unlike a griddle, it is meant for cooking with pots and pans (the heat is localized on a specific, circumcscribed area). The advantage of the hot top’s flat surface is that, in high volume kitchens, pots and pans can be shifted very quickly from burner to burner, and from off the burner to on the burner, with less opportunity for spilling the contents out. Combination cooktops are popular among small-to-medium sized kitchens where there is limited kitchen space, and where versatility is needed more than volume. Talk to your suppliers about possible combination cooktops. They may be able to provide you the precise combination (gas burner, induction top, hot top, griddle) that you’re looking for. Restaurant ranges are common in most commercial restaurant kitchens, and are suitable for medium to small volume cooking. They are sold as individual units, with a wide variety of configurations, depending on the supplier. Sectional ranges are common in higher volume kitchens (hotels, banquet halls, and cafeterias). They tend to be quite powerful, moreso than restaurant ranges, and, as they are designed for higher volume kitchens, they are durable through heavy use. Sectional ranges are also meant to fit together in a line for improved efficiency (a front-side gas manifold allows several ranges to be connected off of a single gas line). Q: Going to be purchasing a countertop griddle for my restaurant. Not sure whether to get a gas griddle or an electric powered one. A: The choice of whether to get a gas griddle or an electric griddle depends on how cost-conscious you have to be. Gas griddles are more effective than electric griddles, as gas fills the space underneath the griddle plate completely and thus heats the griddle plate faster and more evenly. This effectiveness comes at a cost. Gas griddles also tend to be more expensive, both in terms of initial cost of the unit and in terms of continuing costs (higher natural gas price vs. lower electric price, lower effective kitchen heat load, etc.). Further, electric griddles are less complex systems than gas griddles, so they usually have longer effective life expectancies. To summarize: electric griddles are more cost effective overall, but gas griddles are better, more productive griddles. Your choice will ultimately come down to cost vs. quality.